Our really useful guide to choosing the right salt, pepper and spice mill just for you! T&G have two main mill collections CrushGrind® and Classic. 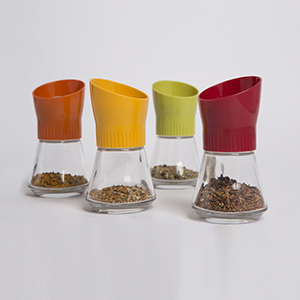 'The World's best mills' - made to last a lifetime - combines creativity and innovation with the highest level of quality and design which results in a premium range of salt, pepper and spice mills which also make the perfect gifts. The CrushGrind® ceramic mechanism allows you to effortlessly grind not only salt and pepper but also, using the same grinder, whole dried herbs and spices. T&G Spice Mills - Elevate your cooking with T&G's Spice mills, create your own herb and spice blends to add excitement to your culinary delights. These mills have all the benefits of CrushGrind® but means that you don'y need to visit the Italian deli or Asian grocery, once you have your dried herbs and spices you can create and blend your own spice mixes and keep in your cupboards until you need them! 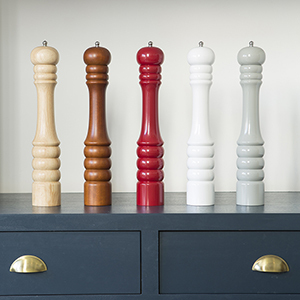 The T&G Classic Mills collection have been designed to reflect all tastes, salt & pepper mills are available in a choice of different materials including crystal clear acrylic, hevea, beech, copper finish and coloured wood. T&G's Classic mills are designed to reflect all tastes from the Classic Capstan to the stylish acrylic and on trend copper mills. 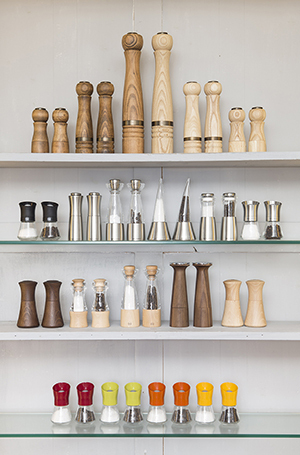 T&G Salt, Pepper & Spice mills lead the market in terms of design, function and quality, with many mills to choose from using a variety of materials such as clear acrylic, FSC® certified beech, stainless steel, hevea, black walnut, antique beech and ash. 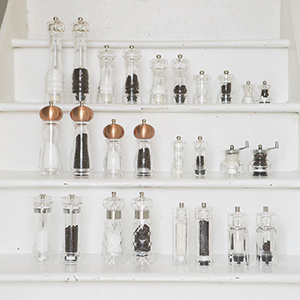 ALL T&G salt, pepper and spice mills, both CrushGrind® and Classic, have ceramic mechanisms which means no metal grinders to corrode and no plastic salt grinders to wear out and all come with a LIFETIME MECHANISM GUARANTEE!